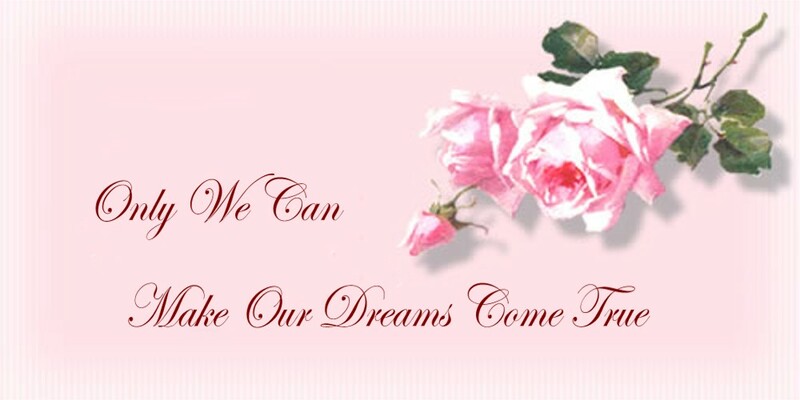 Because of the distractions of everyday life, we forget to do the things we love. 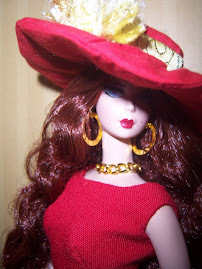 So several years ago I decided to rekindle my love of sewing and miniature art. I am not a professional, just someone who loves to create beautiful things. I created this blog to display my designs and to keep track of everything I've made through the years. 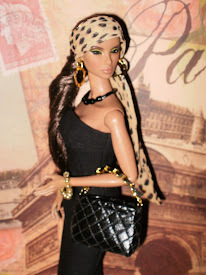 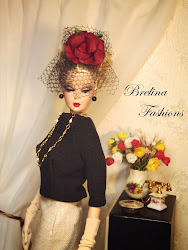 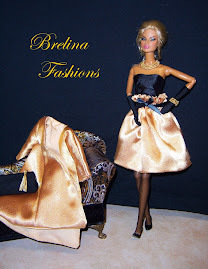 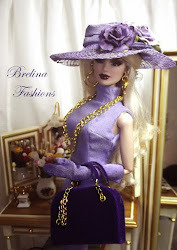 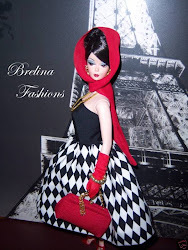 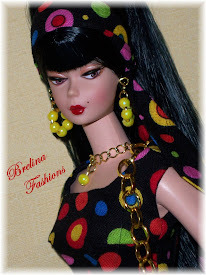 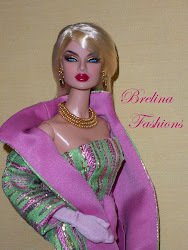 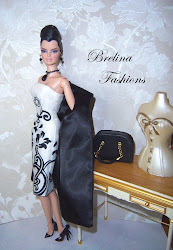 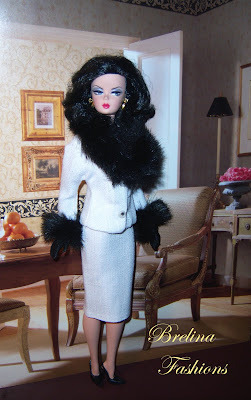 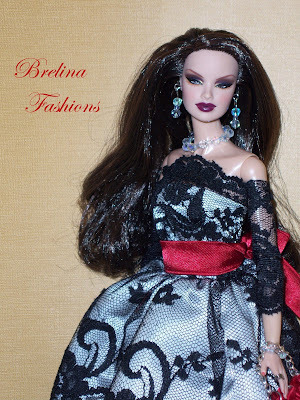 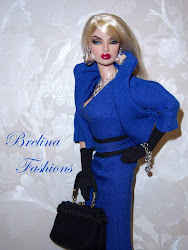 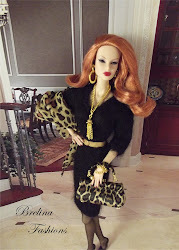 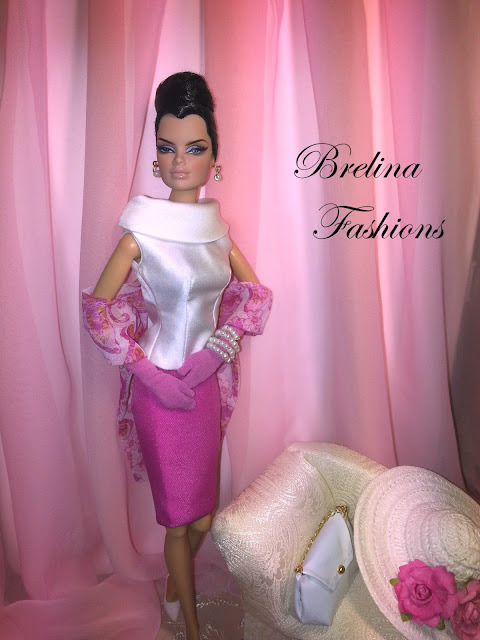 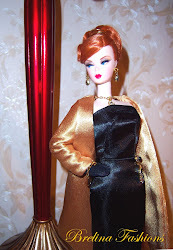 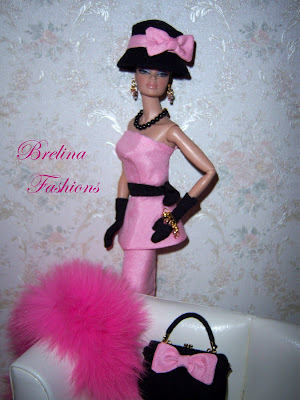 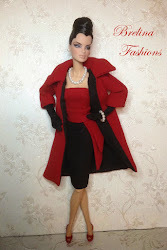 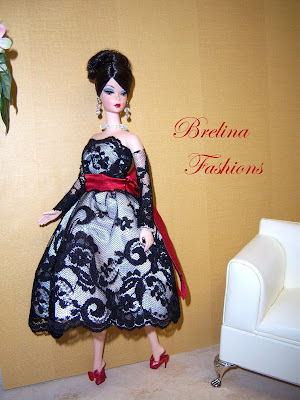 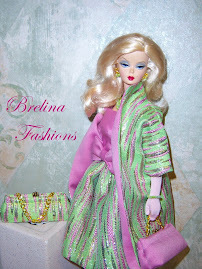 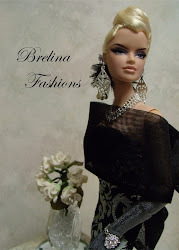 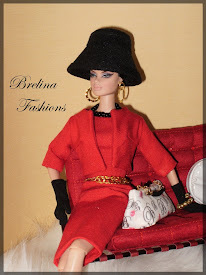 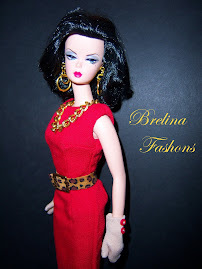 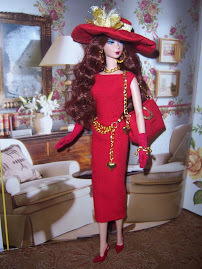 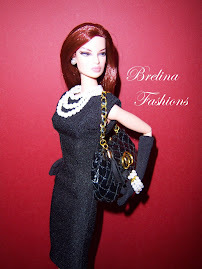 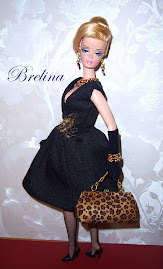 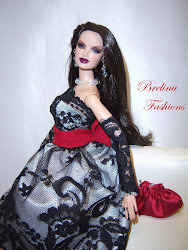 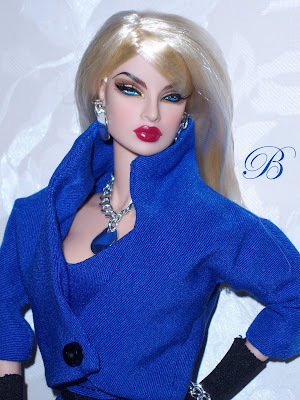 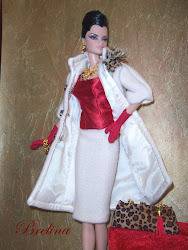 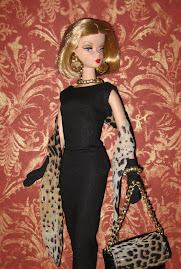 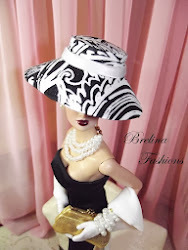 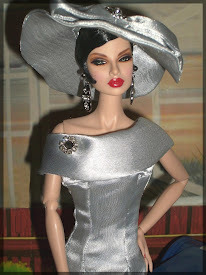 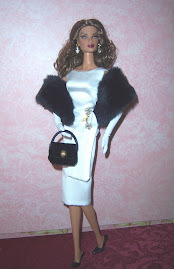 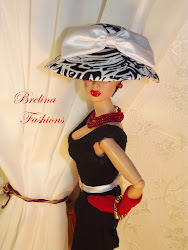 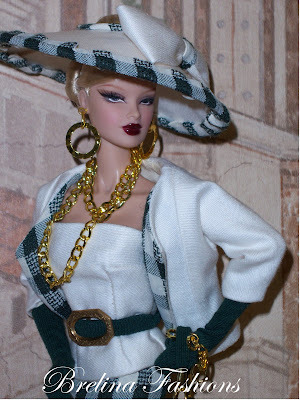 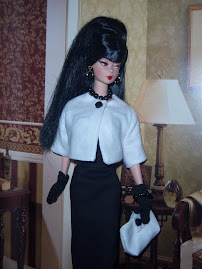 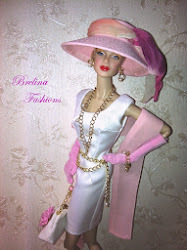 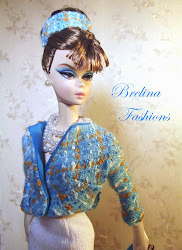 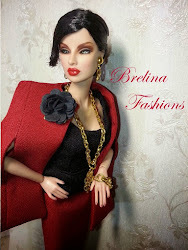 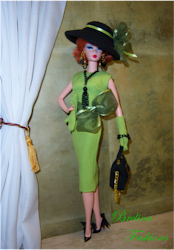 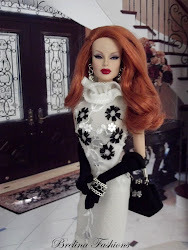 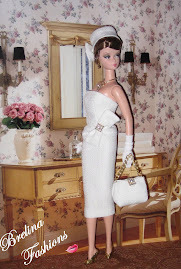 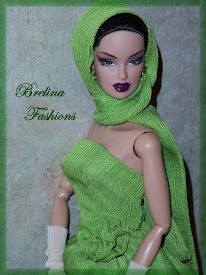 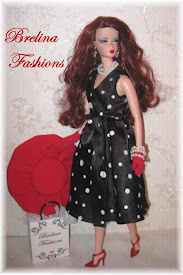 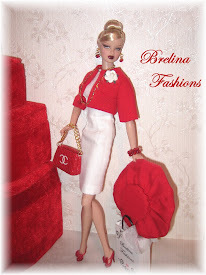 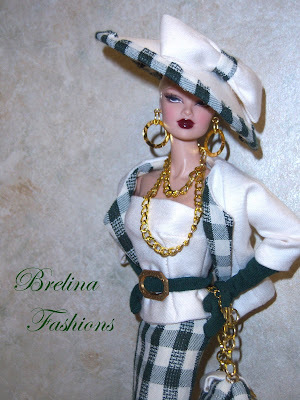 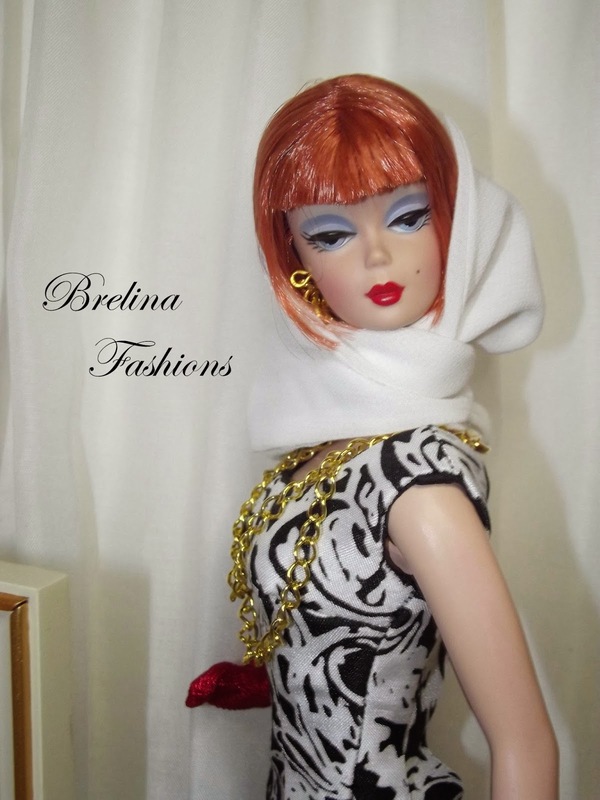 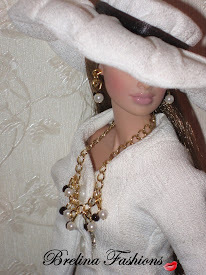 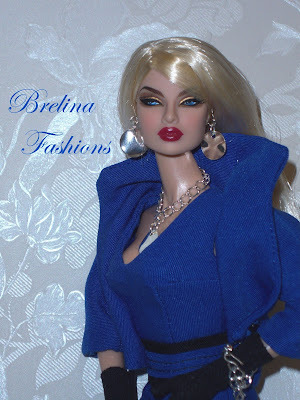 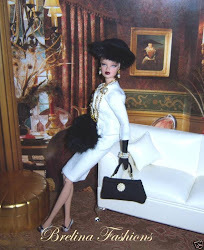 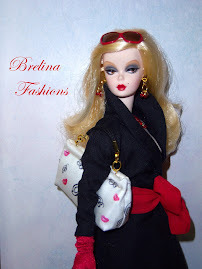 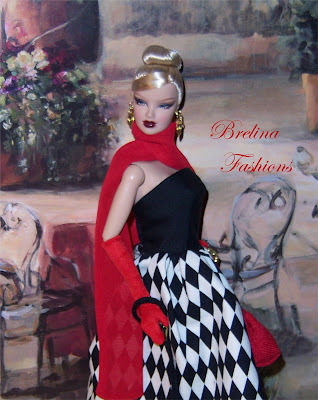 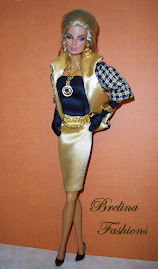 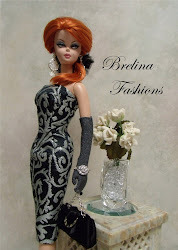 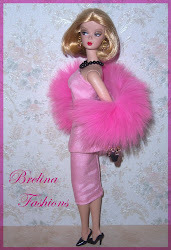 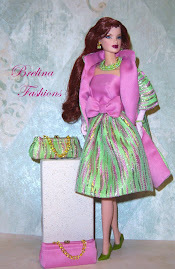 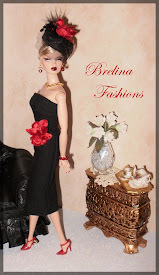 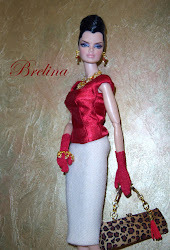 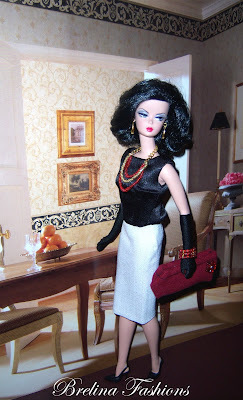 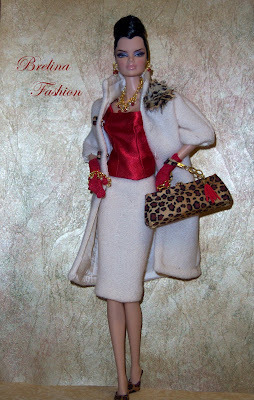 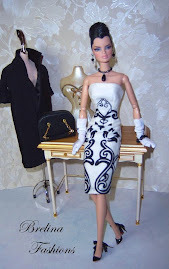 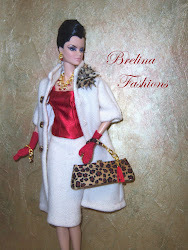 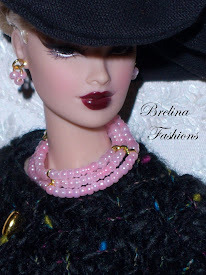 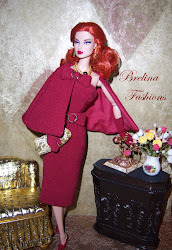 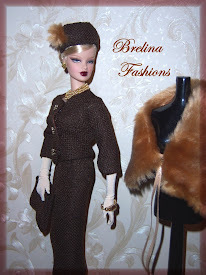 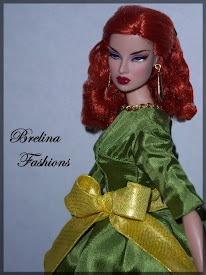 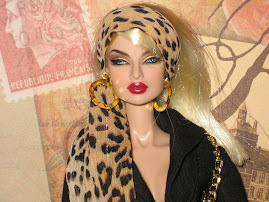 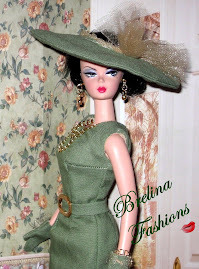 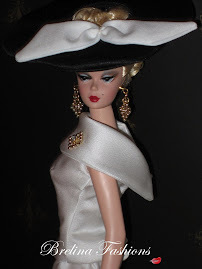 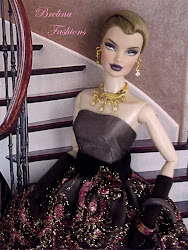 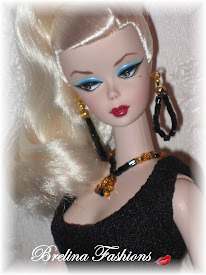 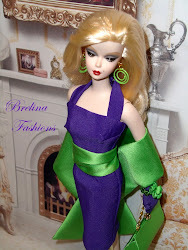 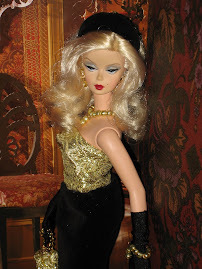 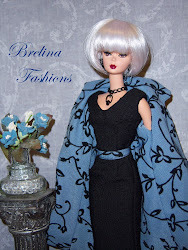 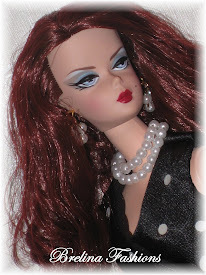 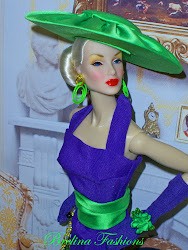 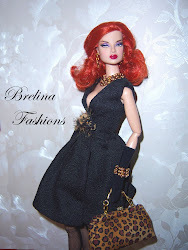 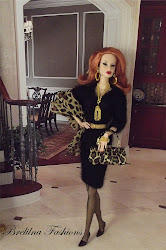 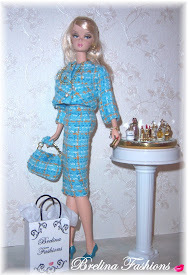 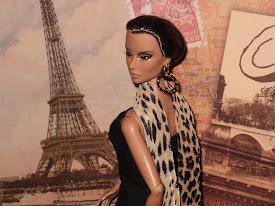 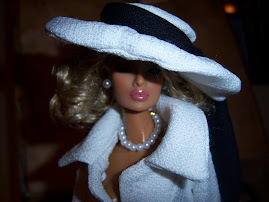 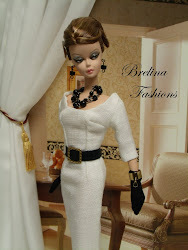 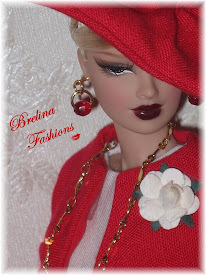 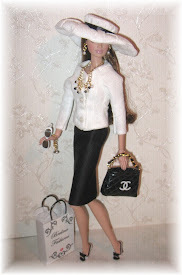 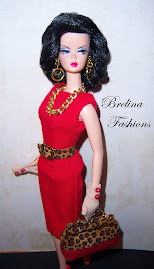 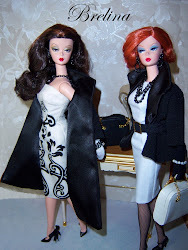 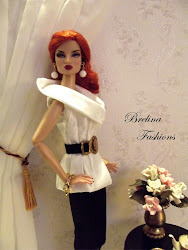 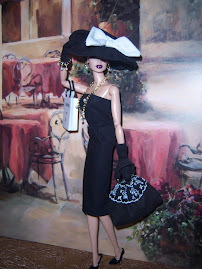 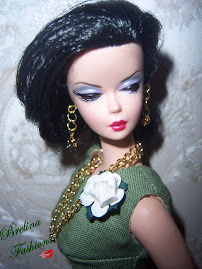 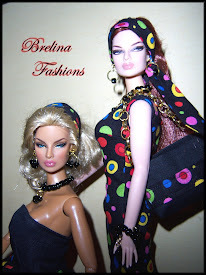 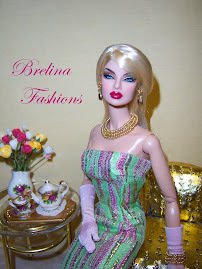 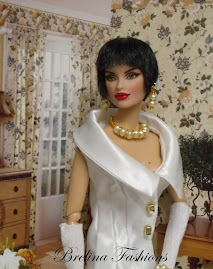 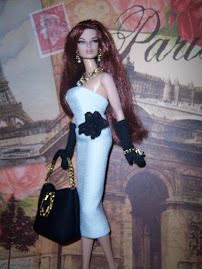 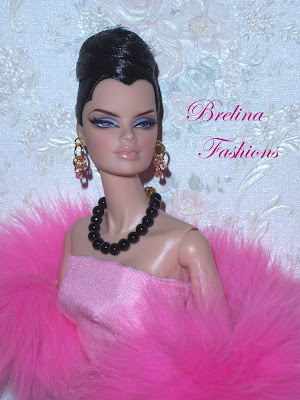 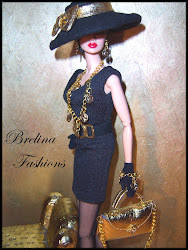 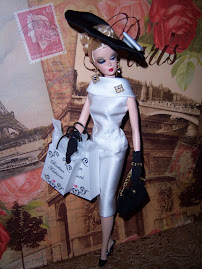 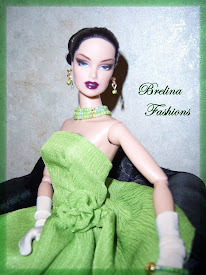 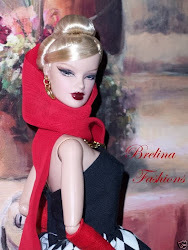 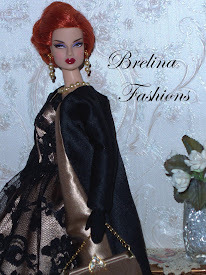 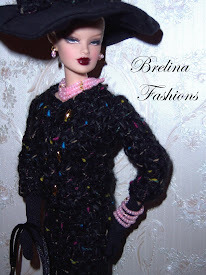 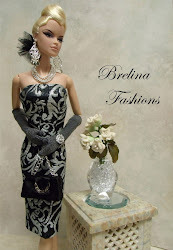 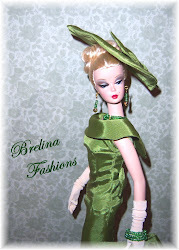 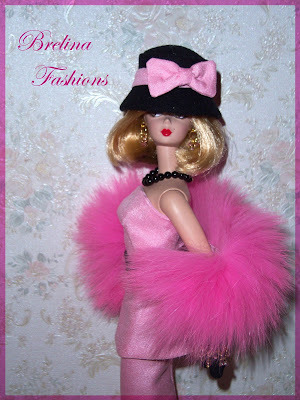 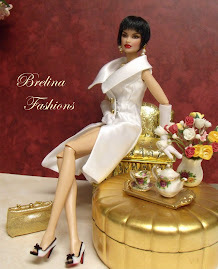 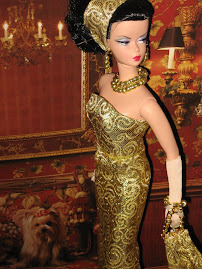 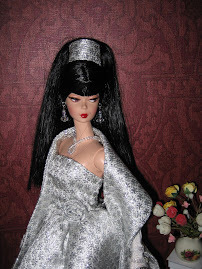 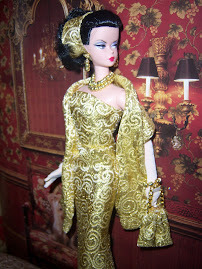 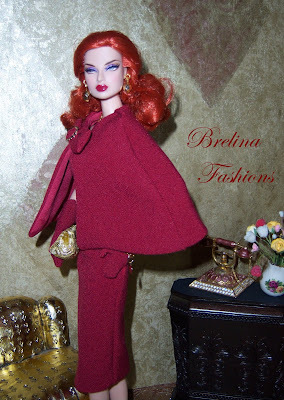 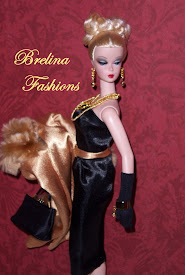 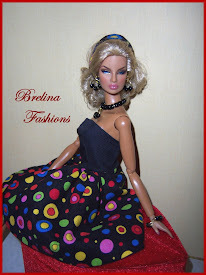 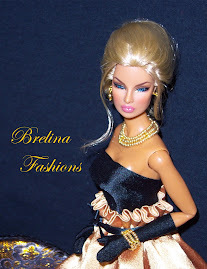 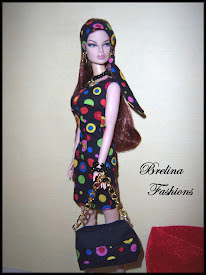 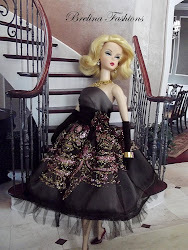 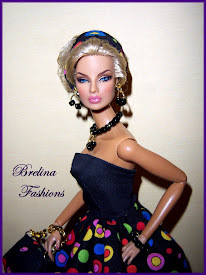 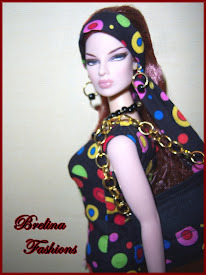 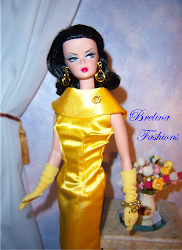 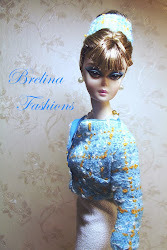 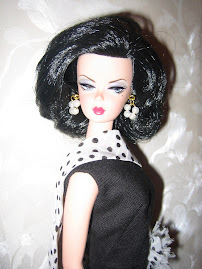 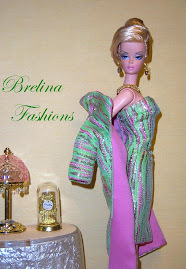 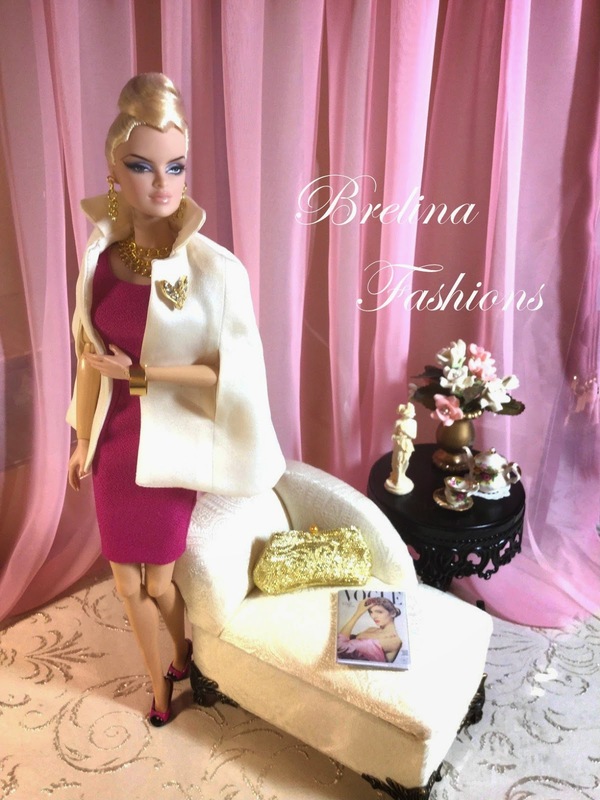 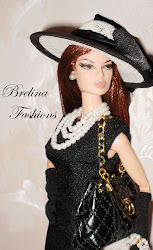 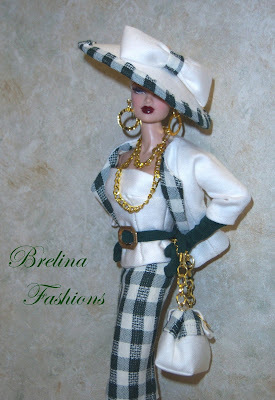 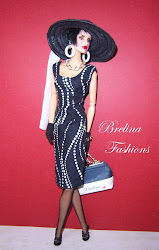 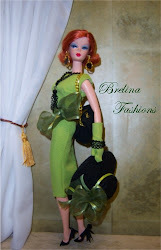 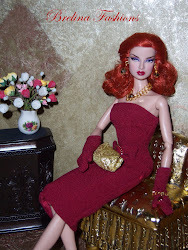 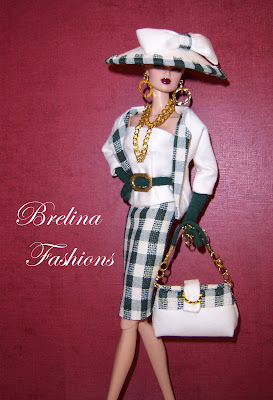 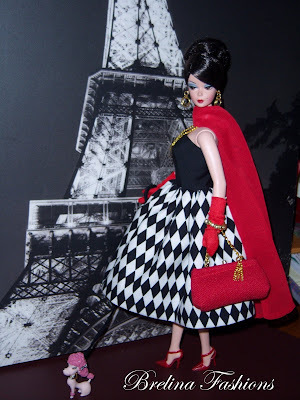 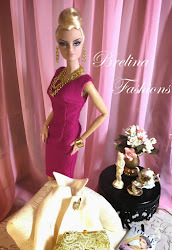 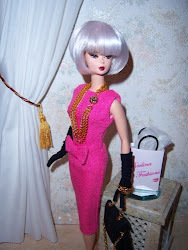 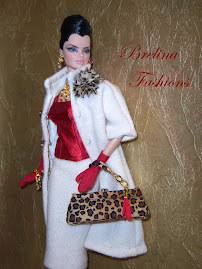 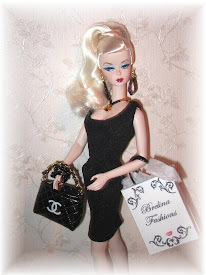 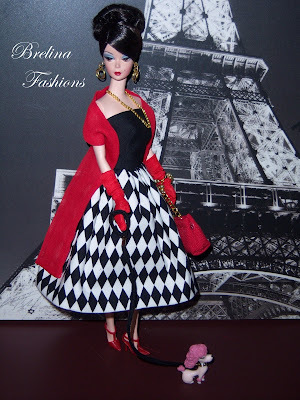 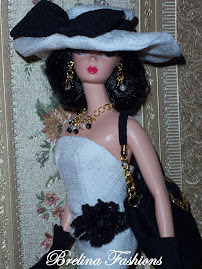 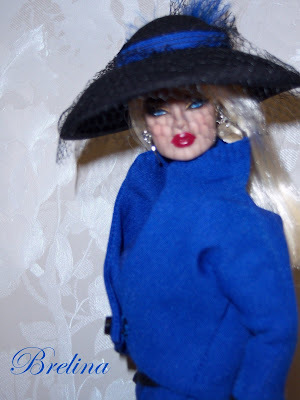 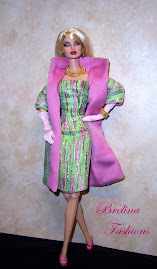 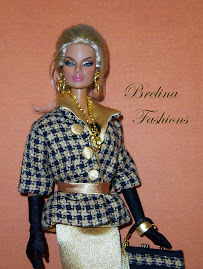 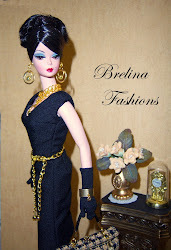 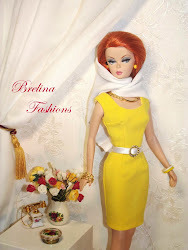 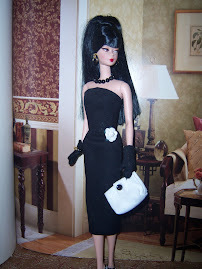 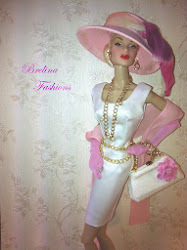 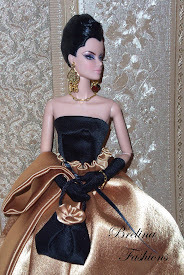 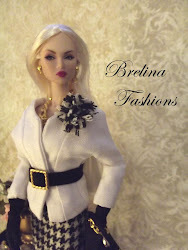 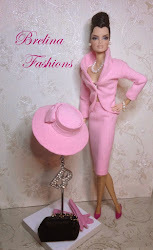 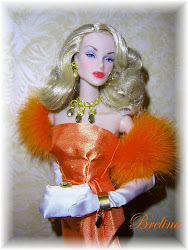 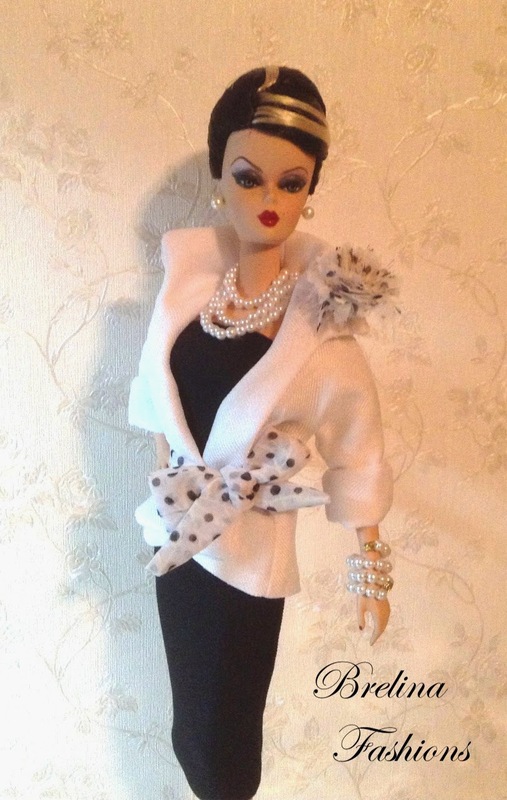 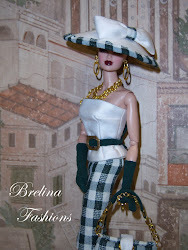 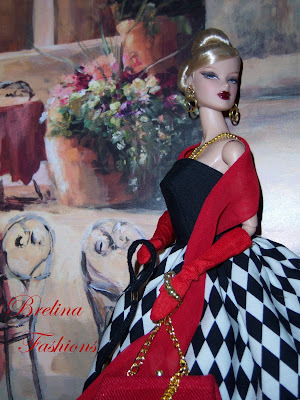 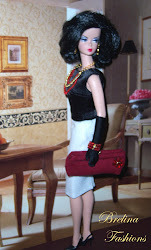 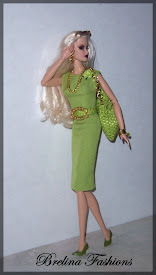 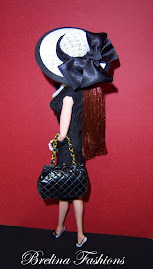 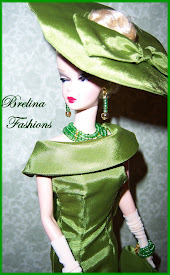 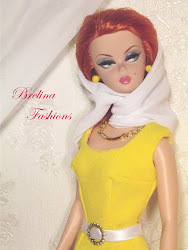 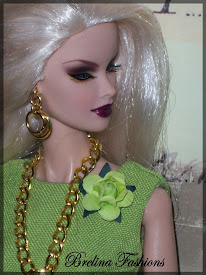 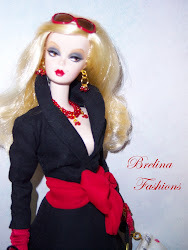 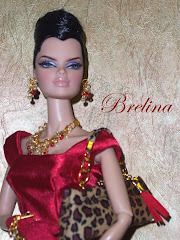 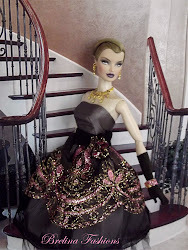 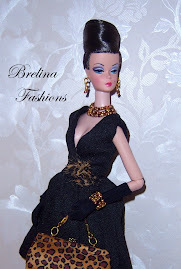 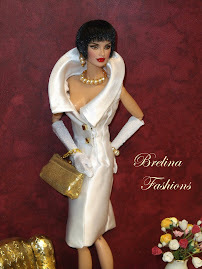 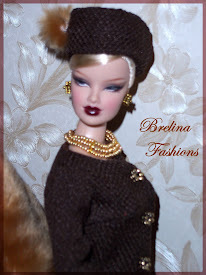 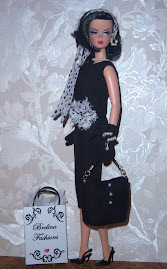 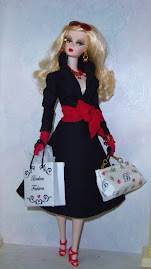 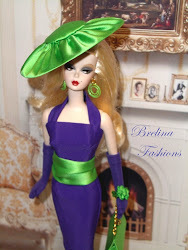 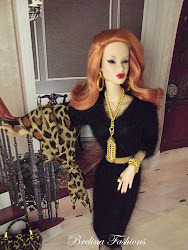 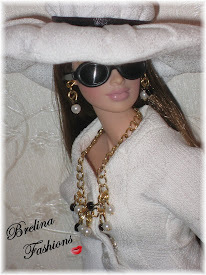 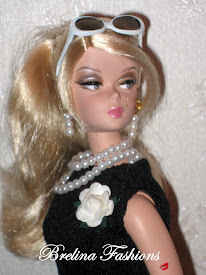 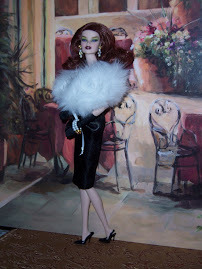 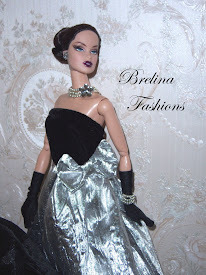 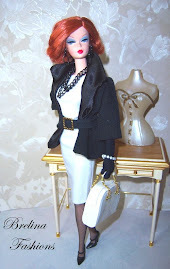 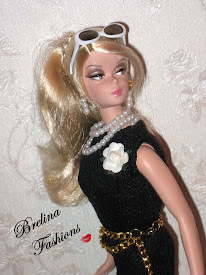 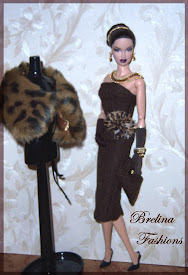 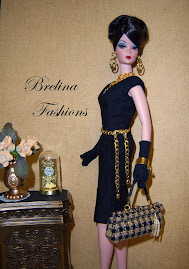 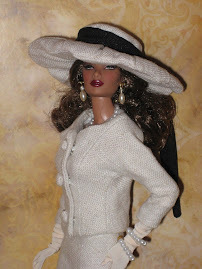 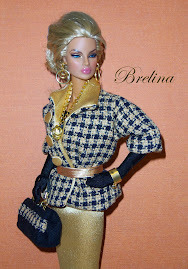 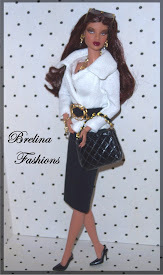 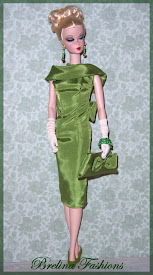 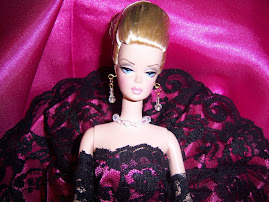 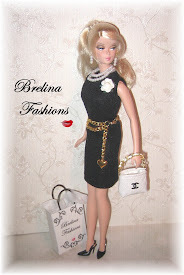 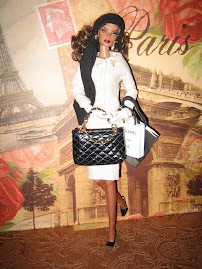 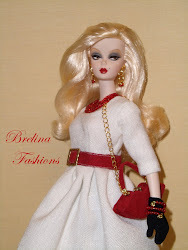 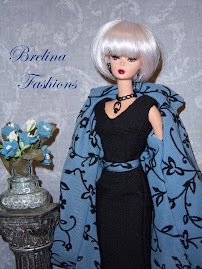 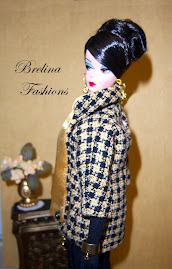 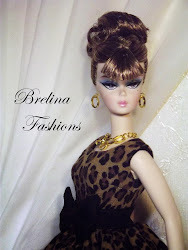 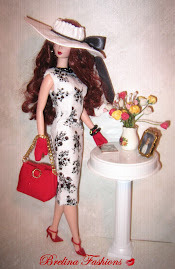 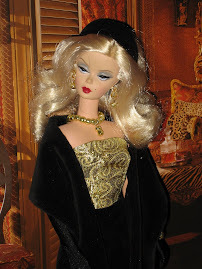 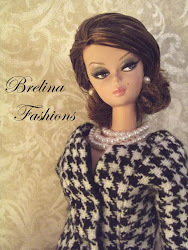 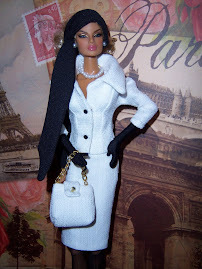 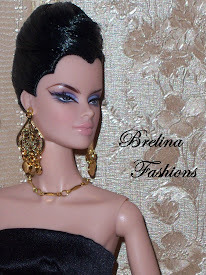 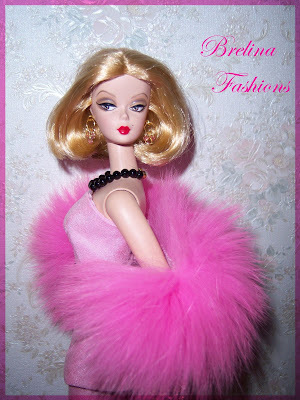 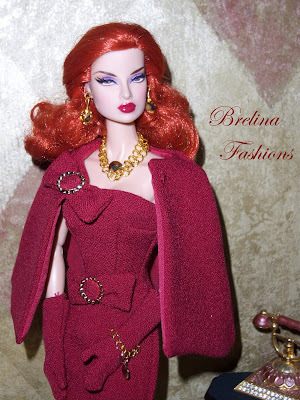 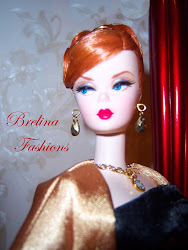 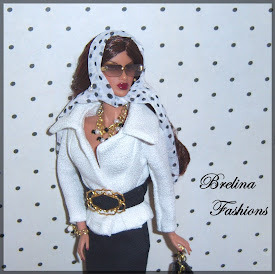 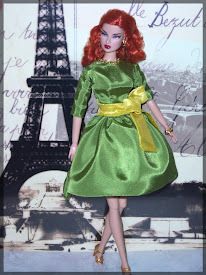 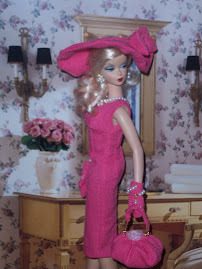 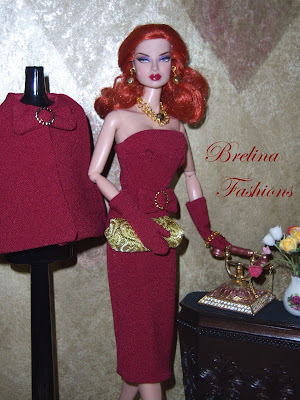 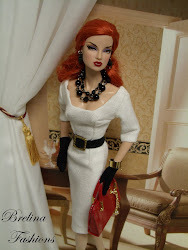 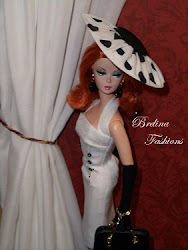 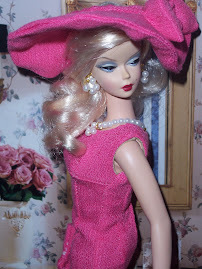 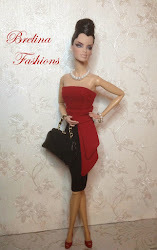 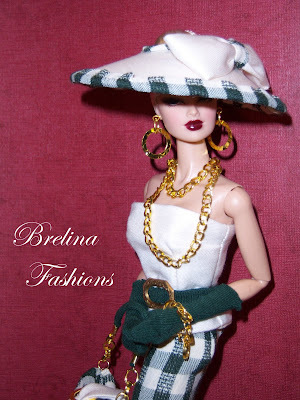 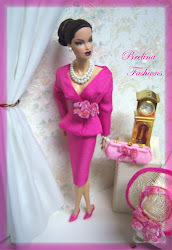 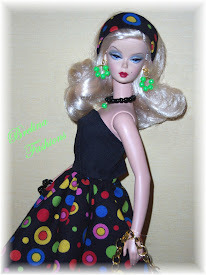 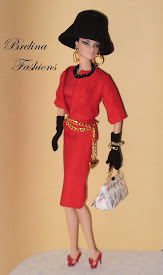 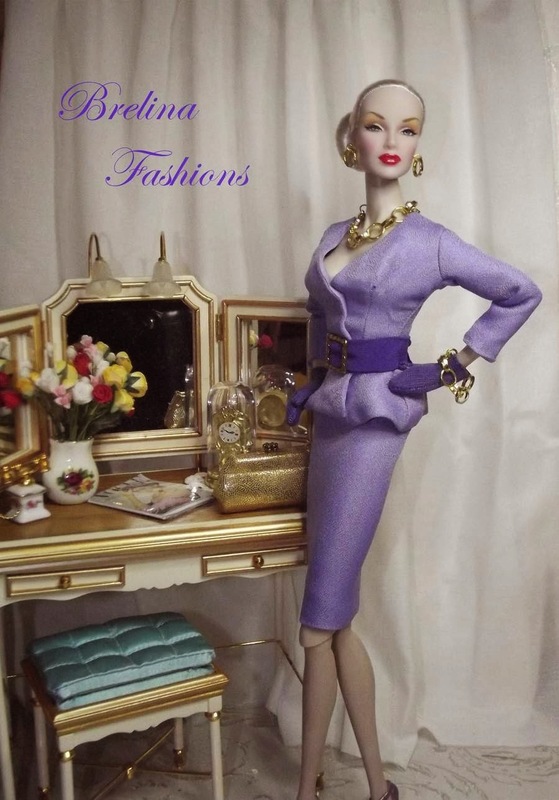 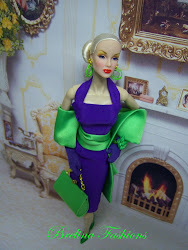 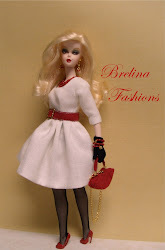 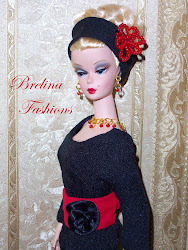 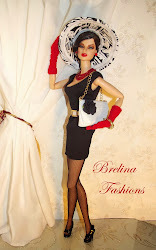 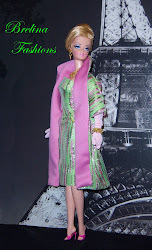 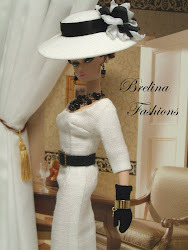 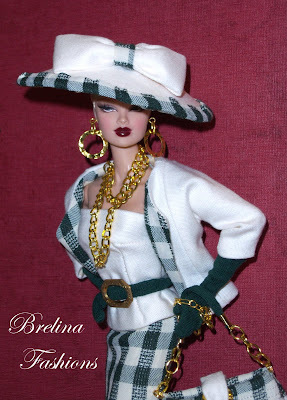 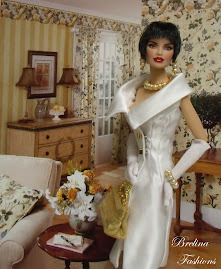 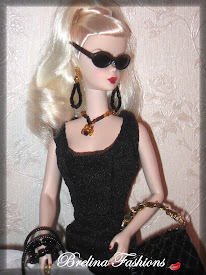 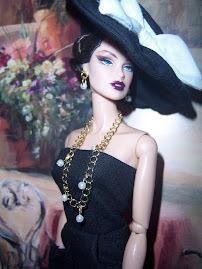 I use Fashion Royalty and Silkstone Barbie dolls to model my fashions. 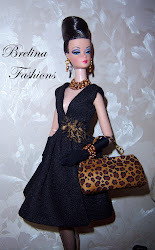 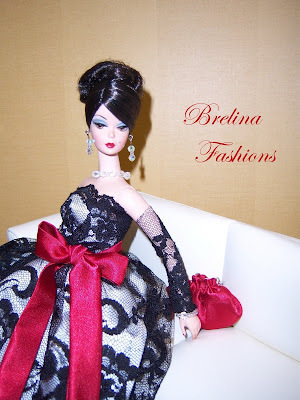 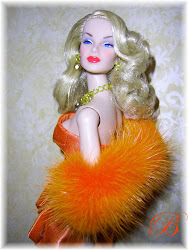 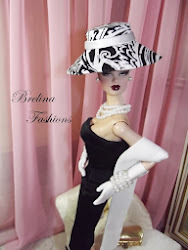 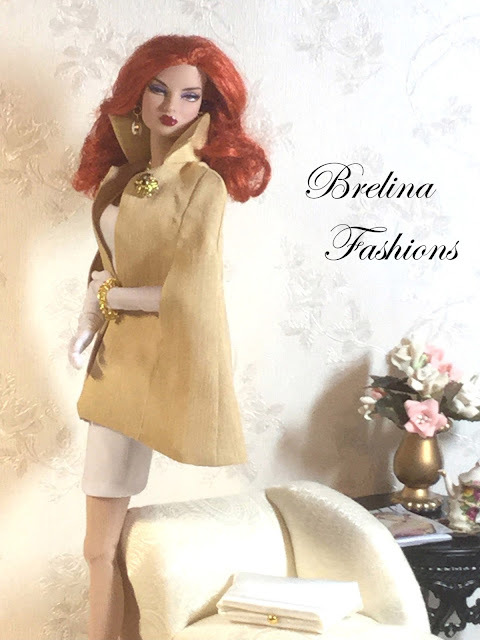 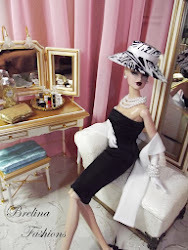 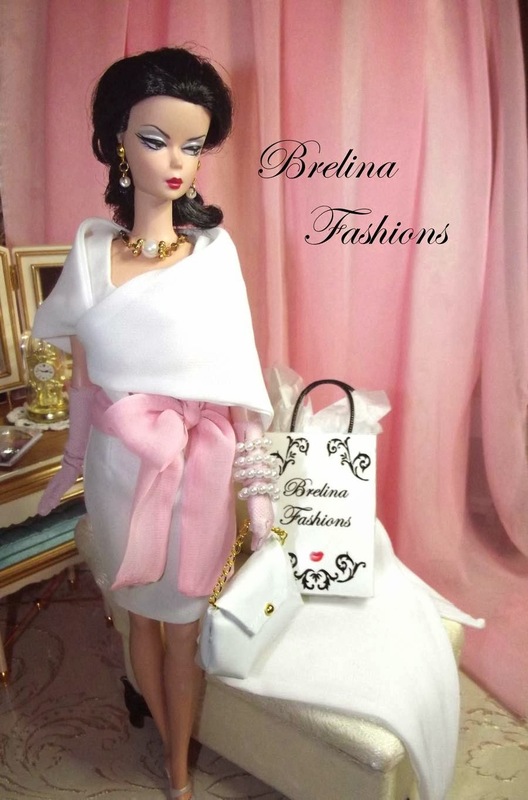 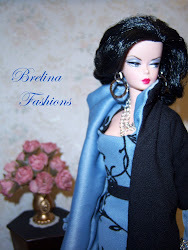 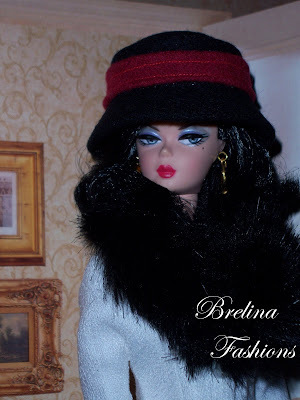 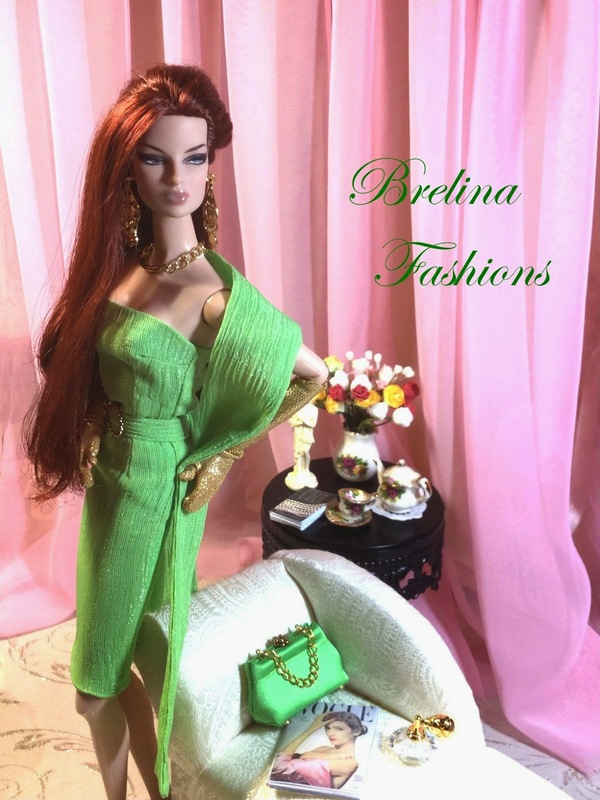 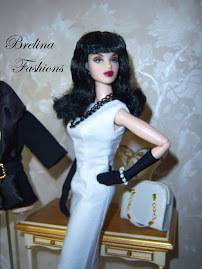 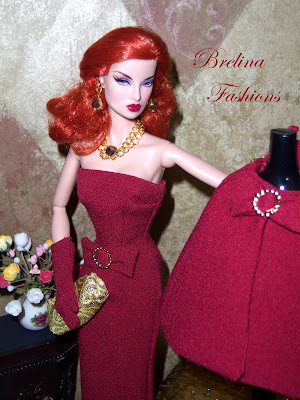 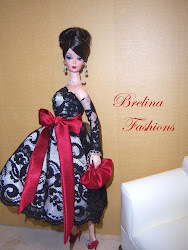 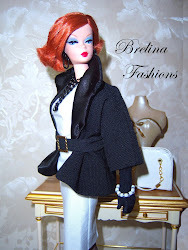 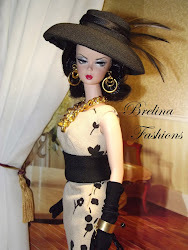 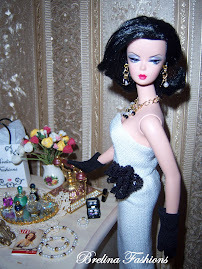 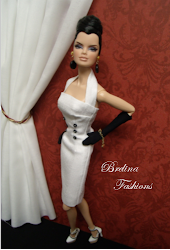 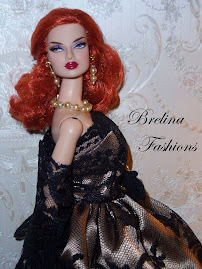 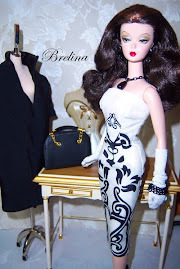 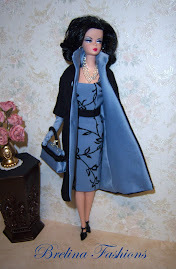 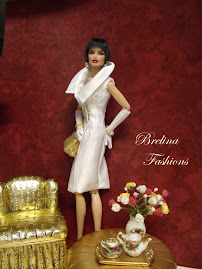 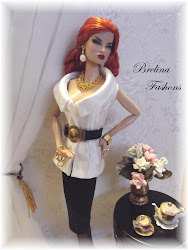 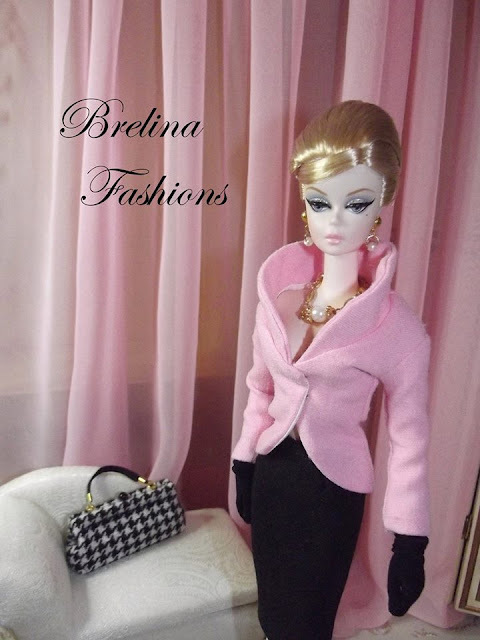 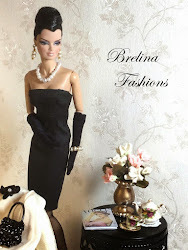 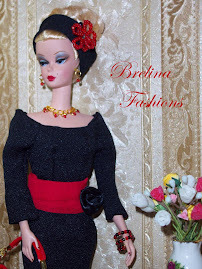 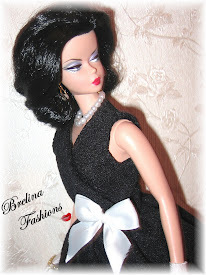 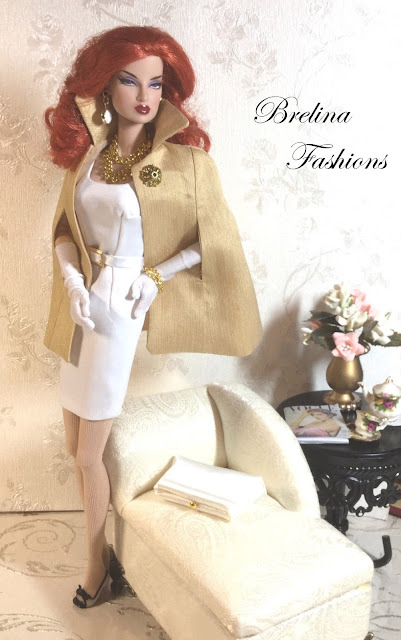 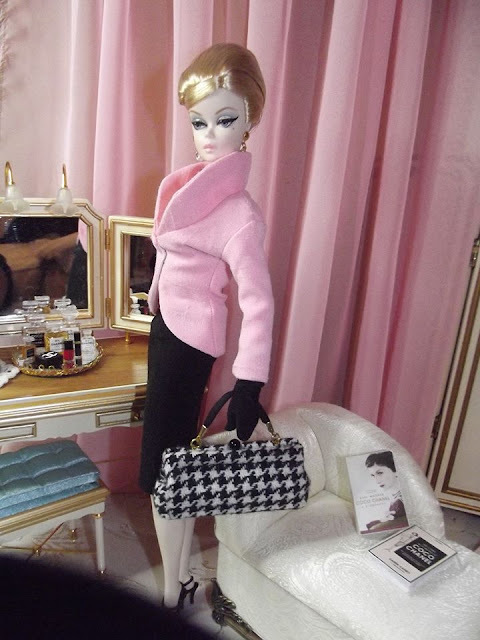 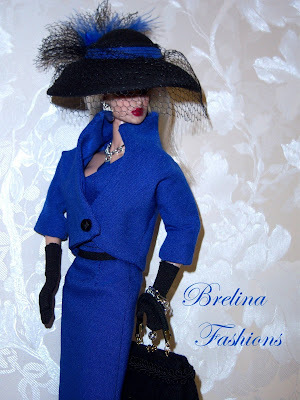 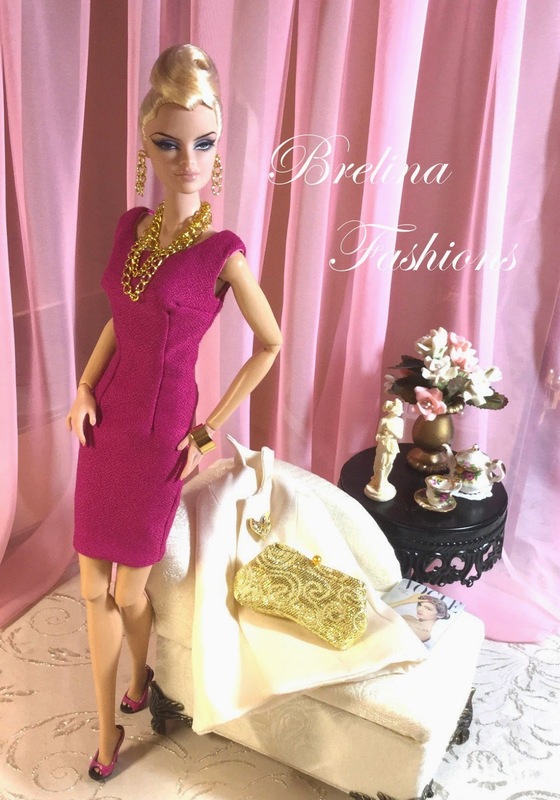 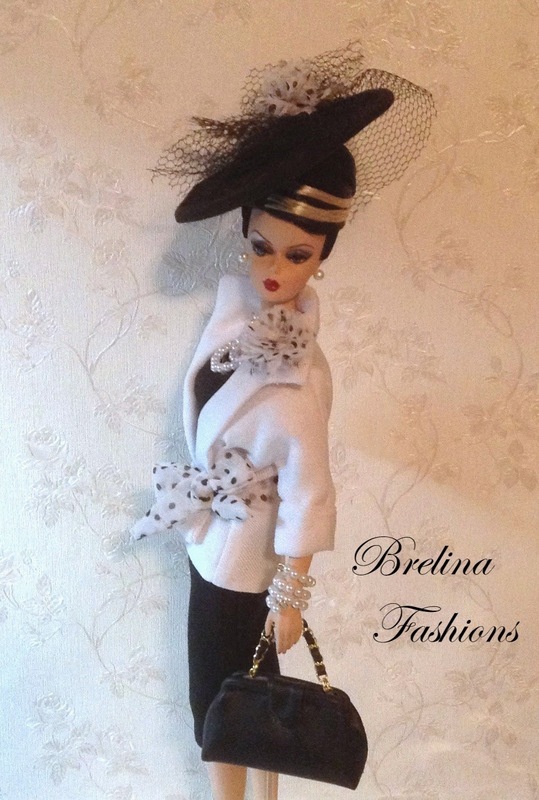 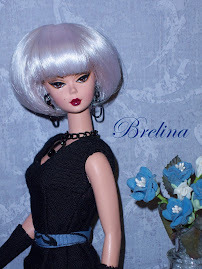 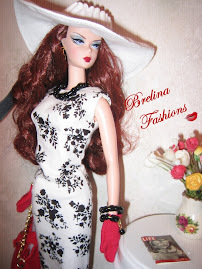 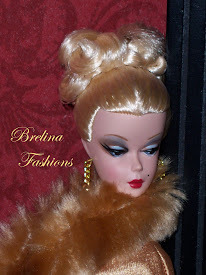 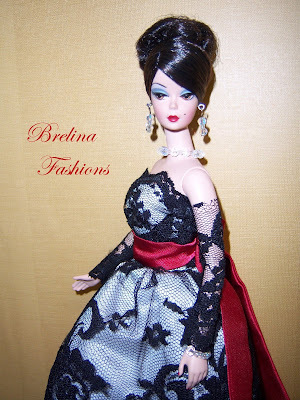 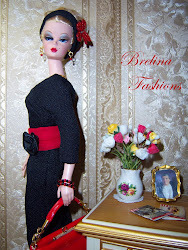 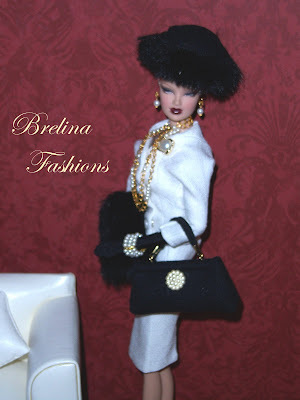 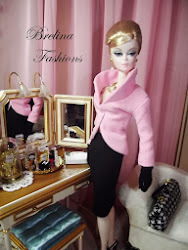 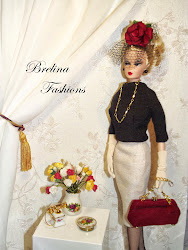 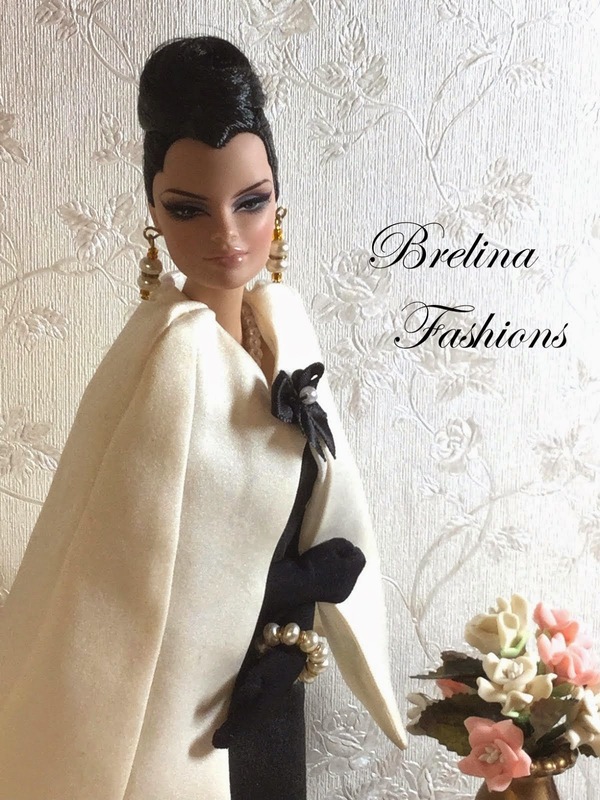 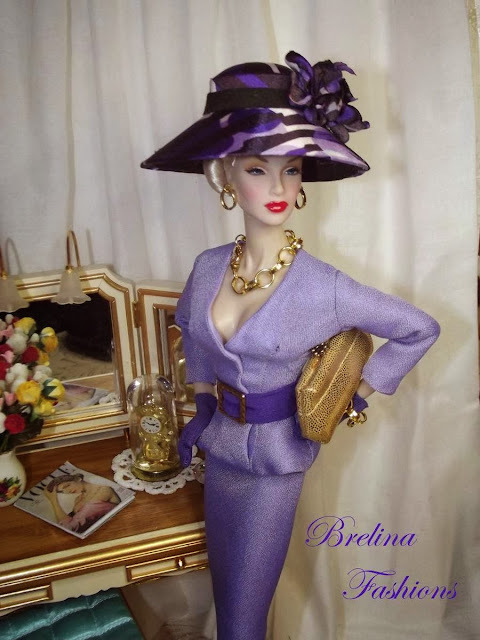 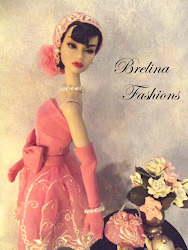 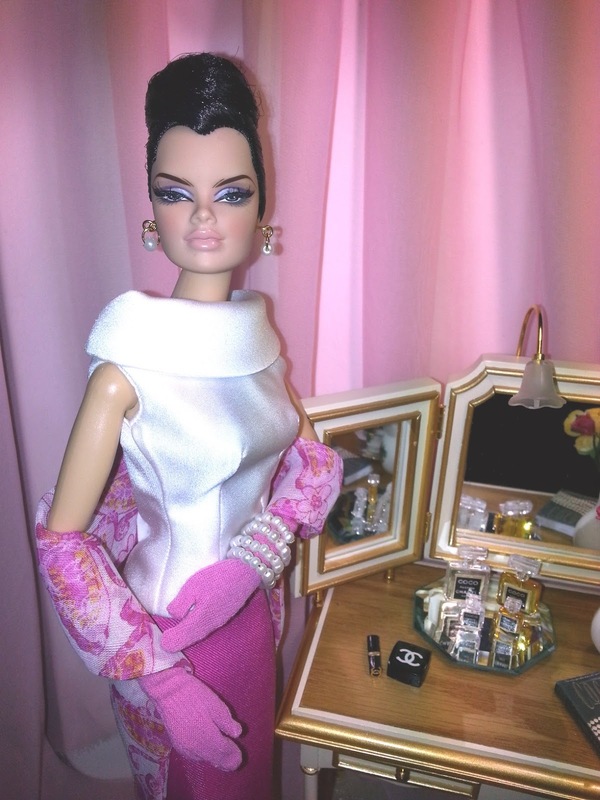 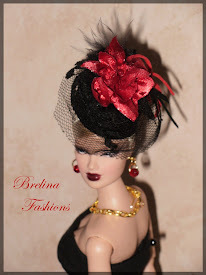 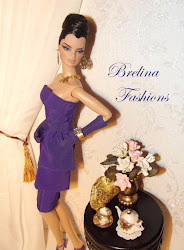 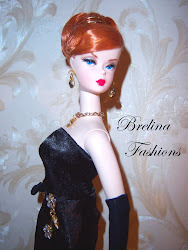 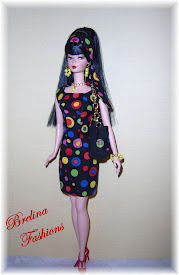 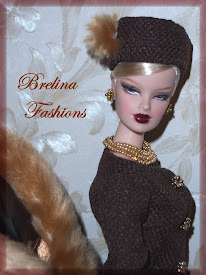 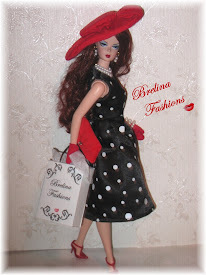 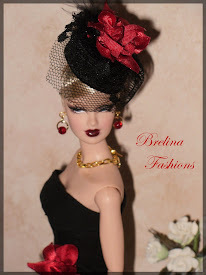 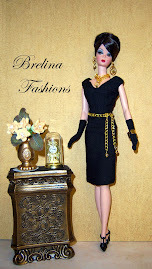 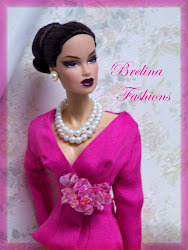 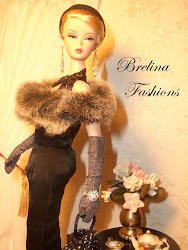 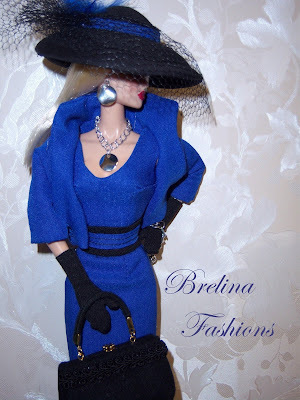 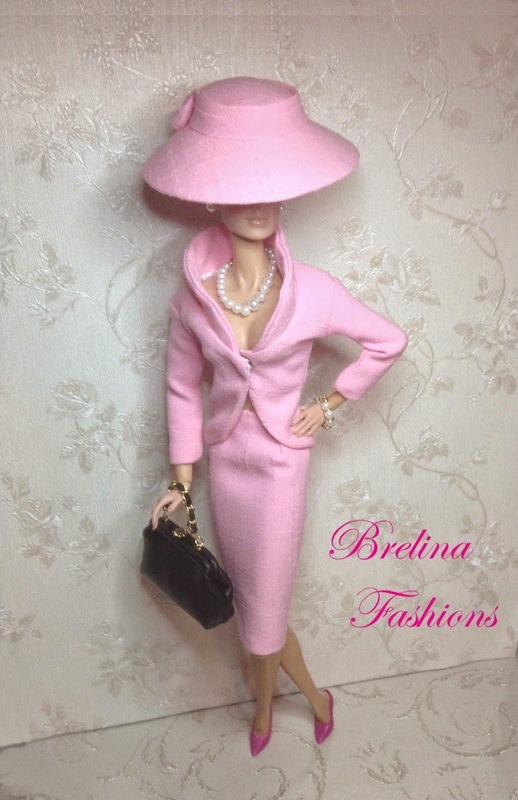 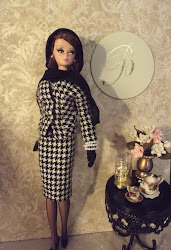 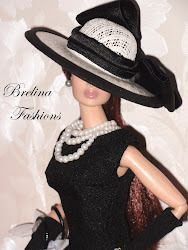 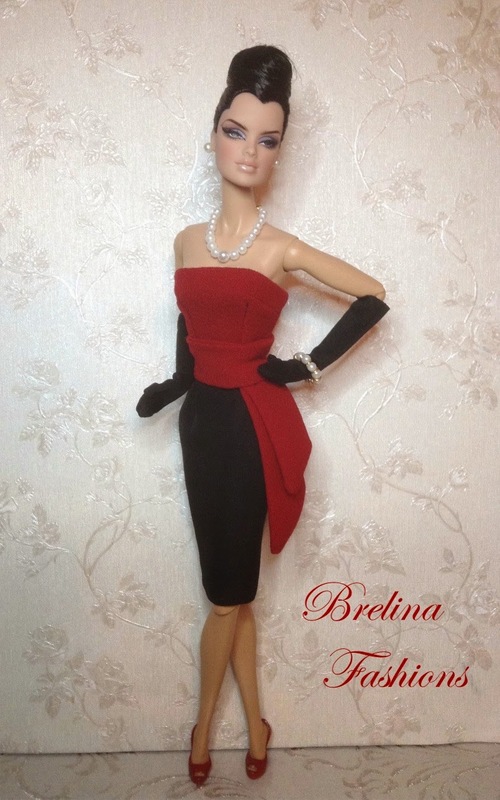 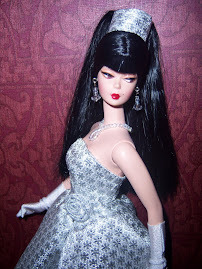 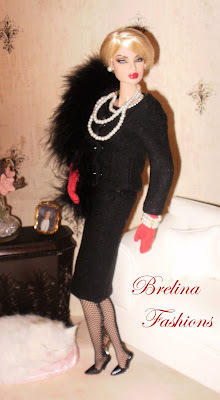 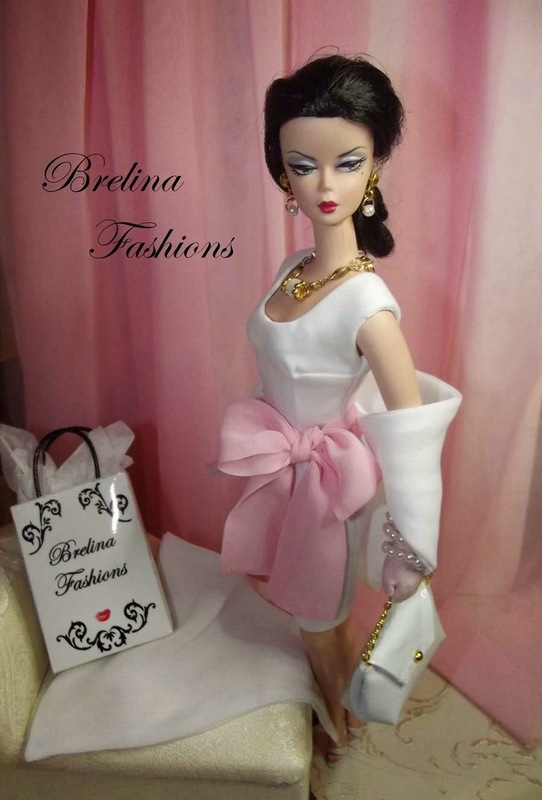 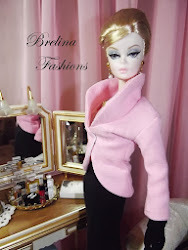 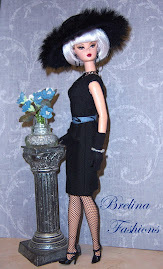 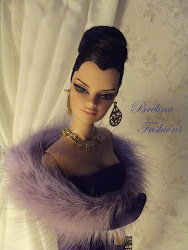 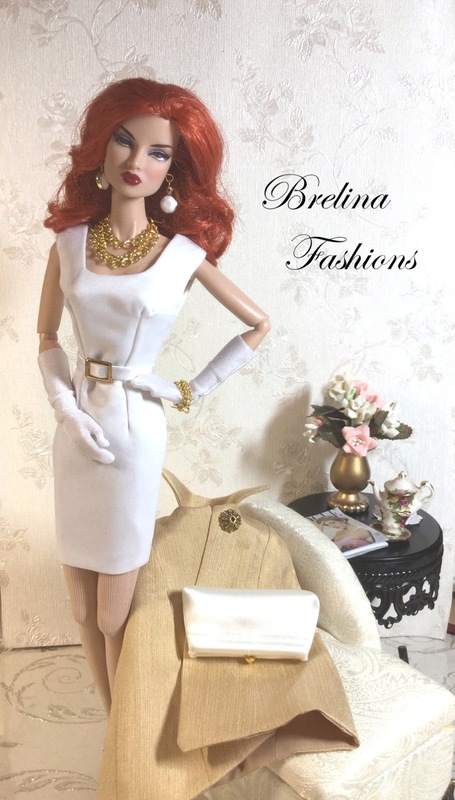 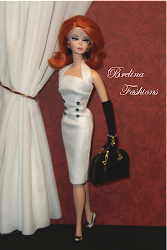 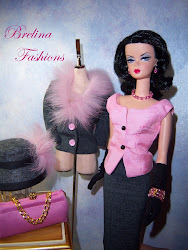 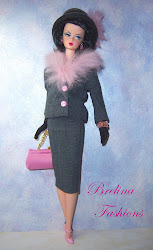 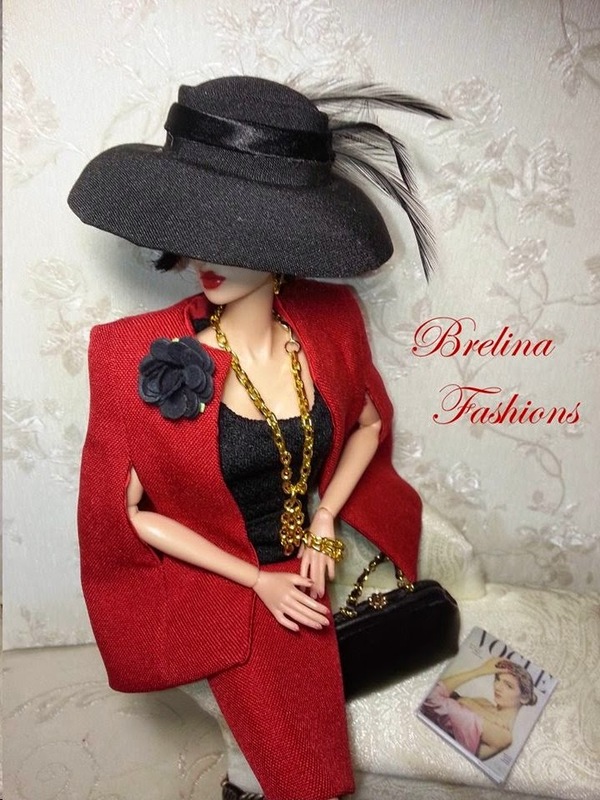 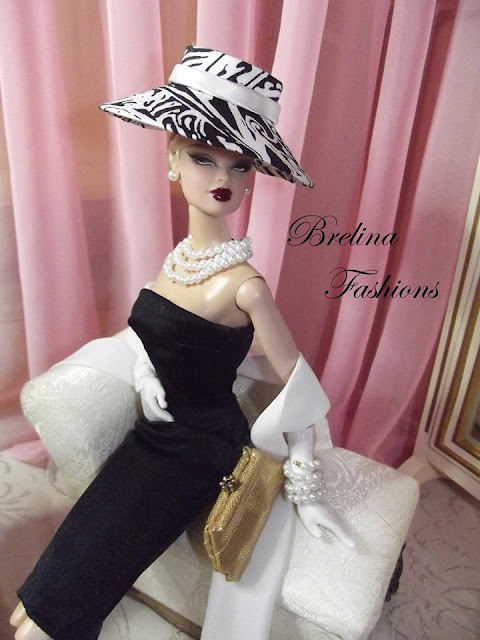 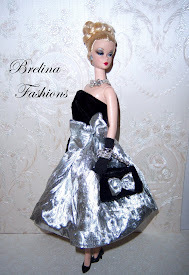 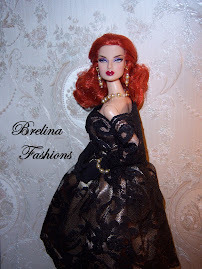 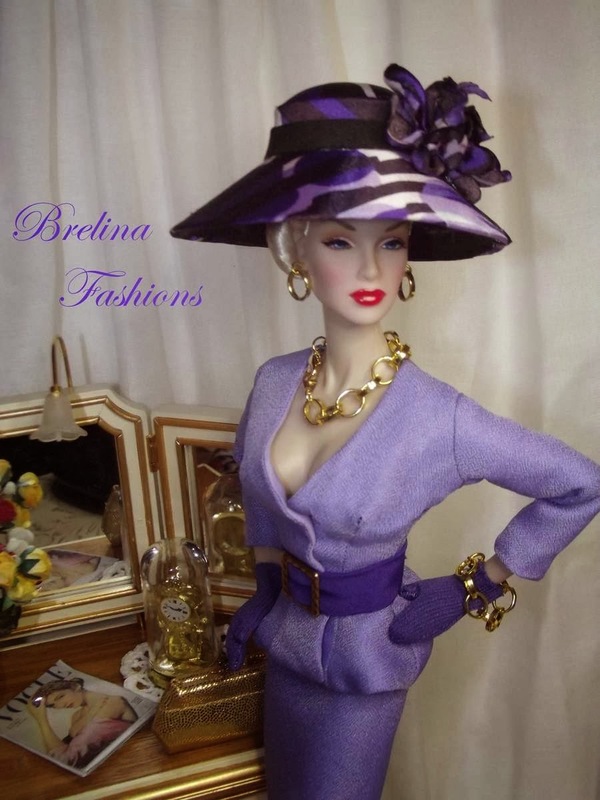 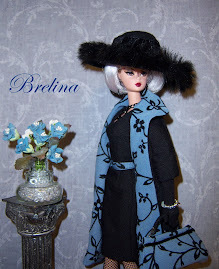 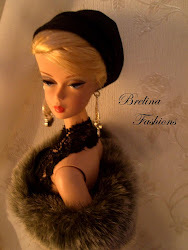 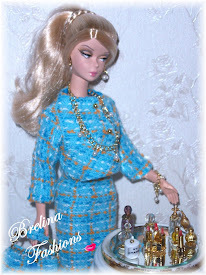 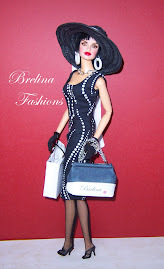 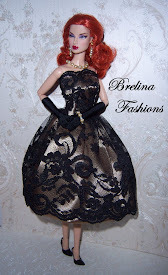 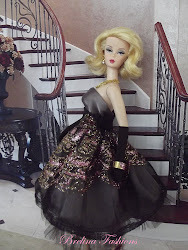 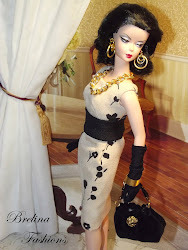 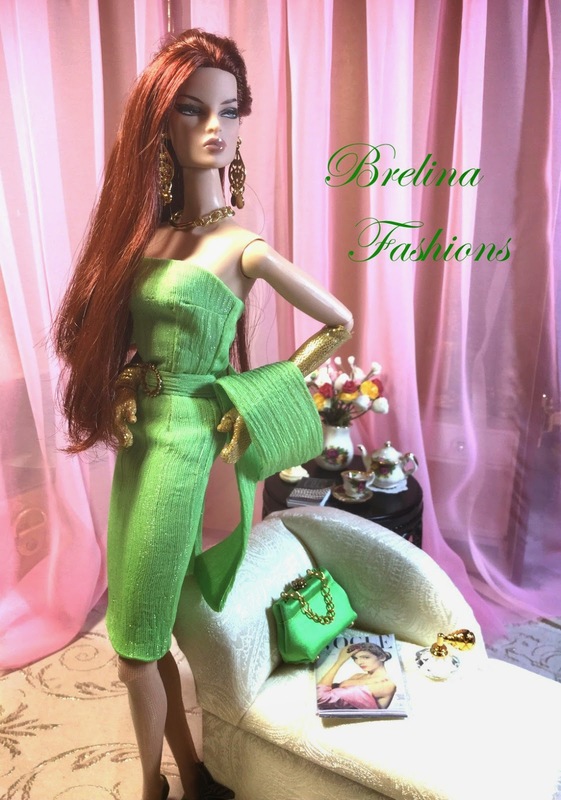 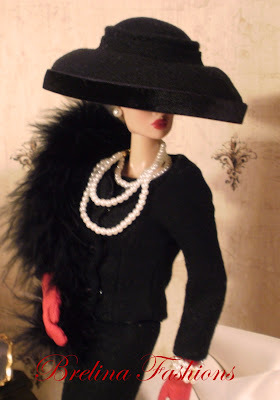 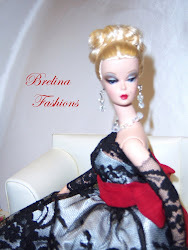 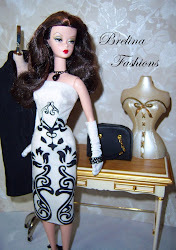 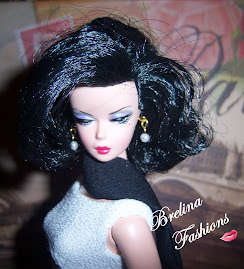 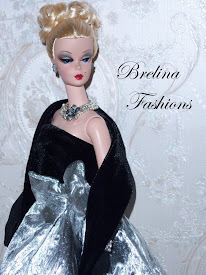 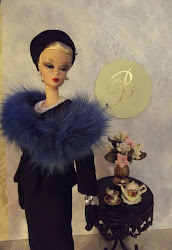 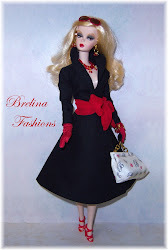 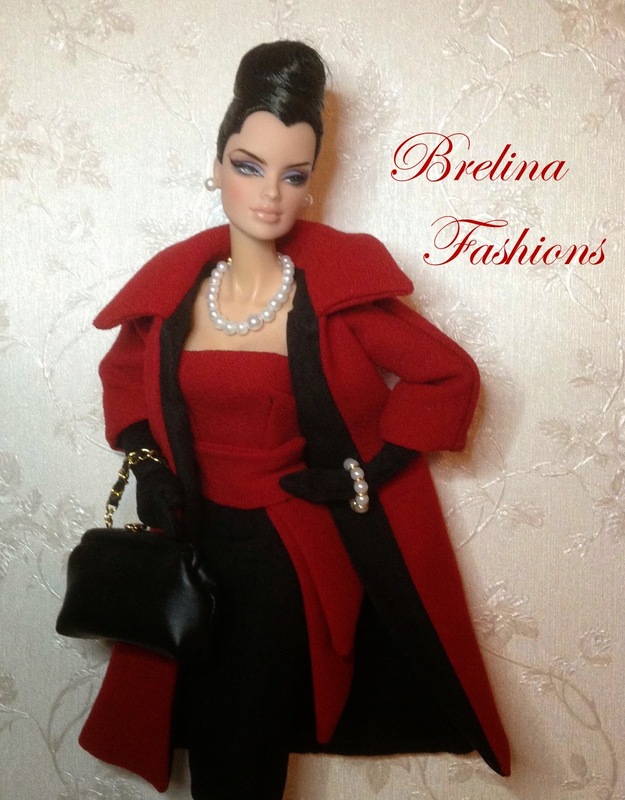 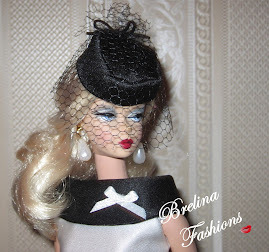 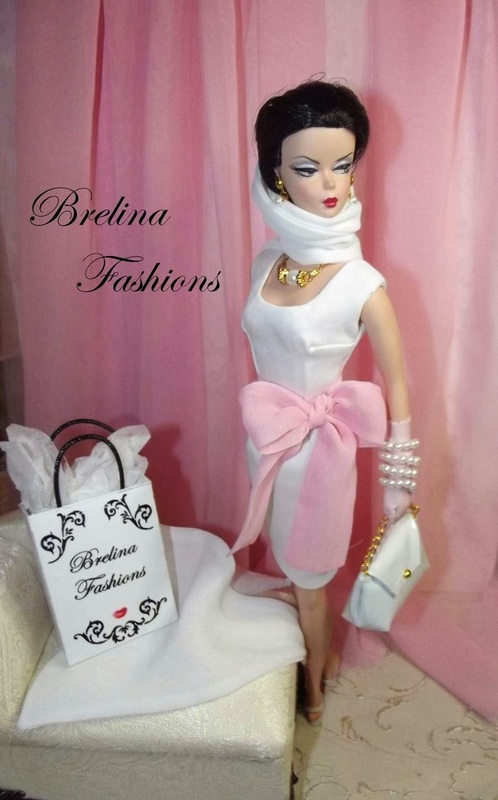 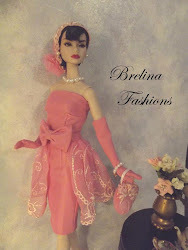 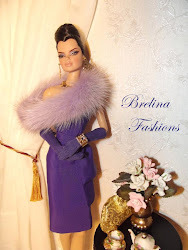 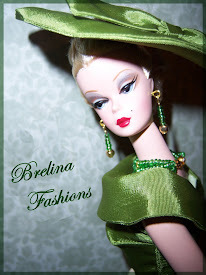 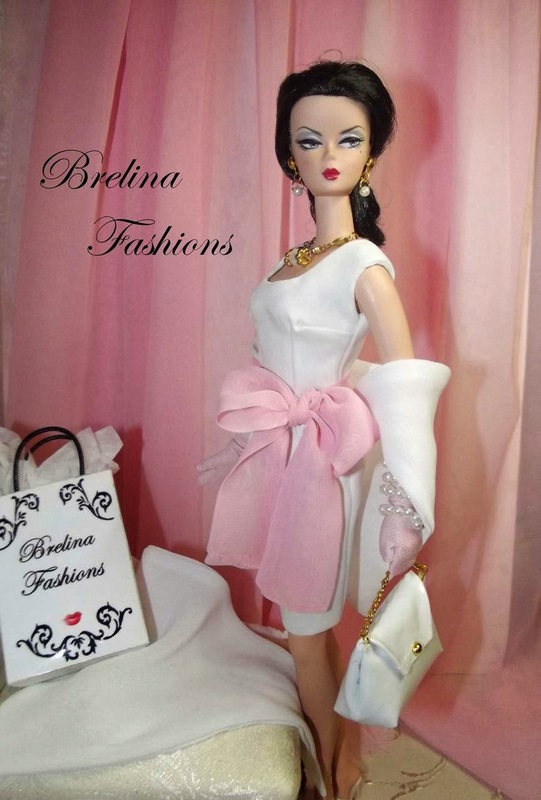 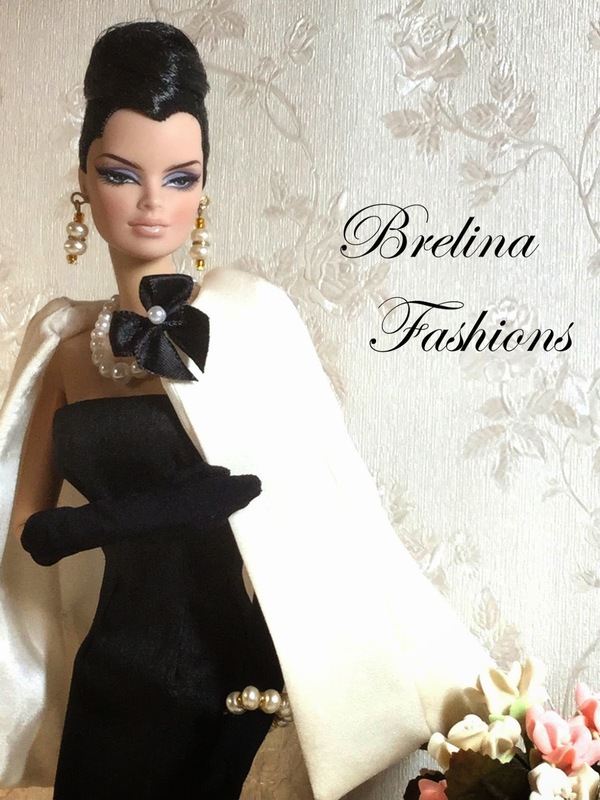 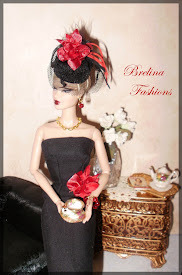 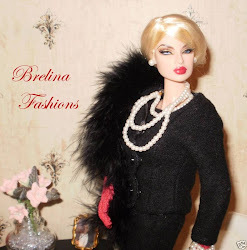 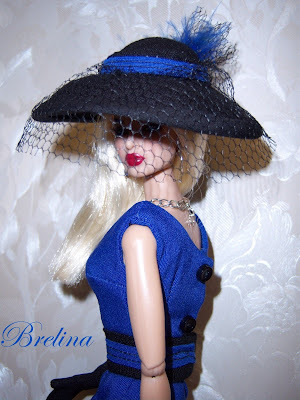 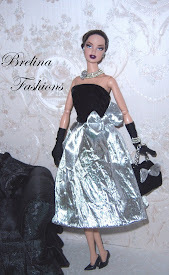 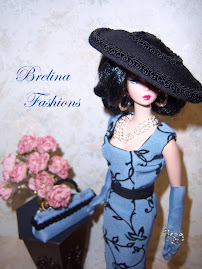 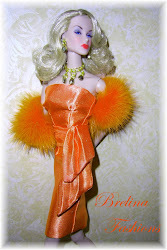 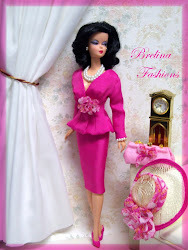 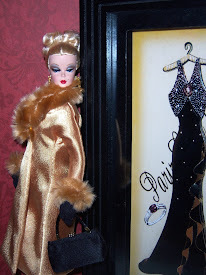 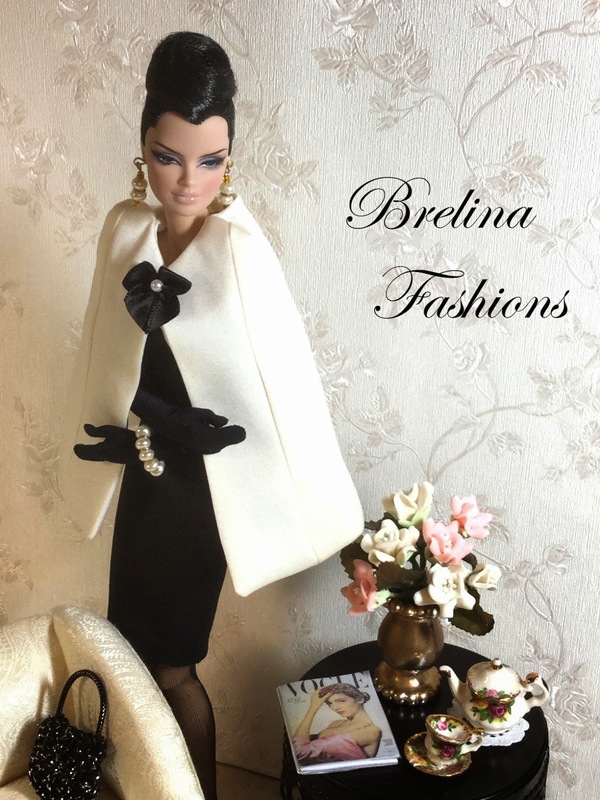 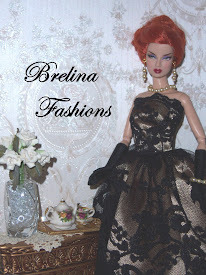 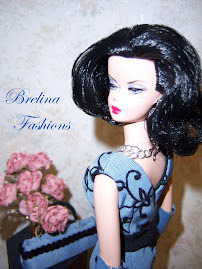 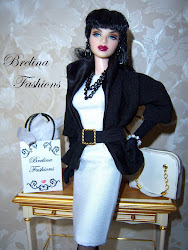 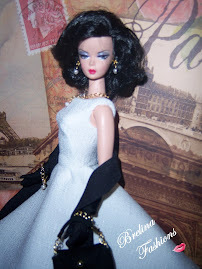 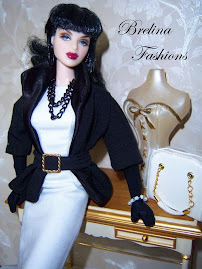 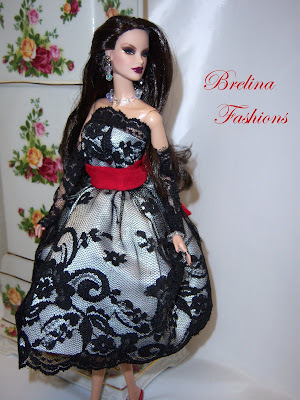 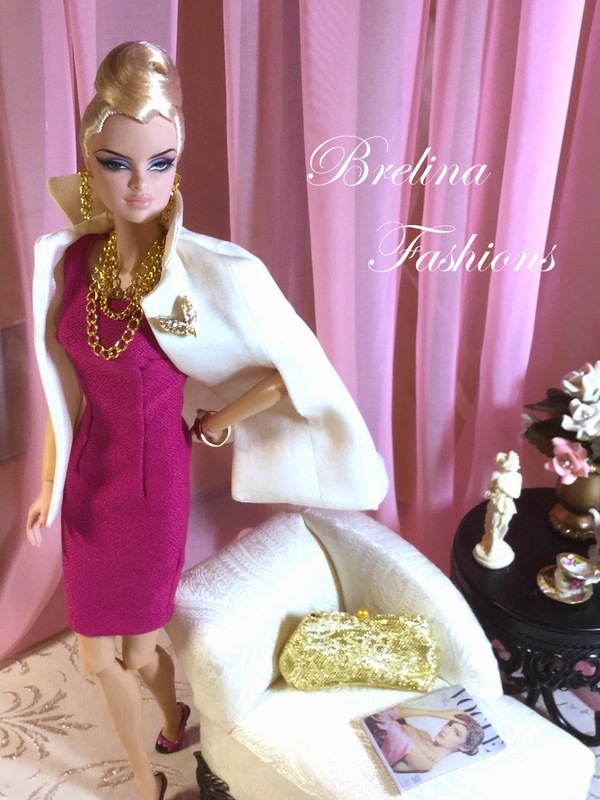 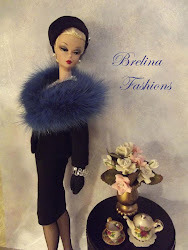 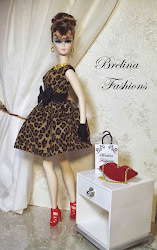 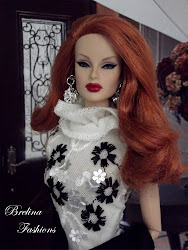 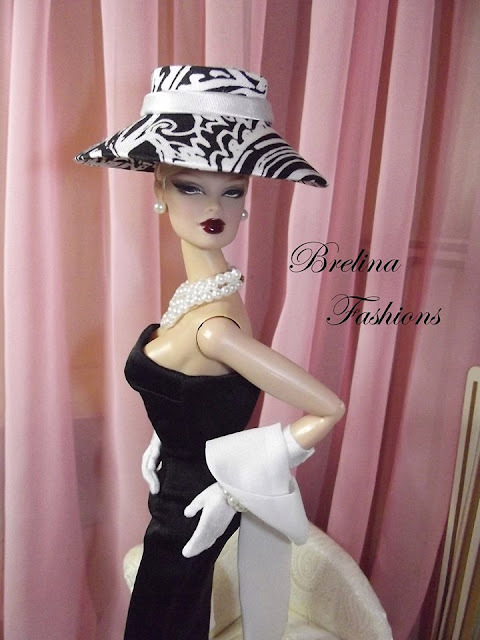 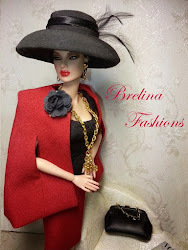 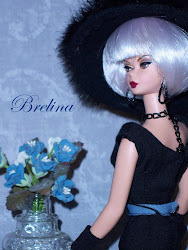 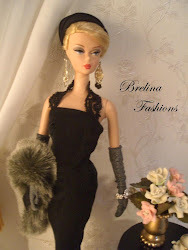 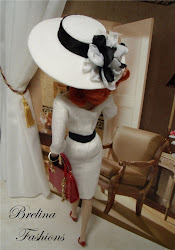 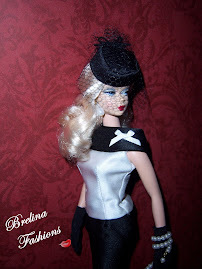 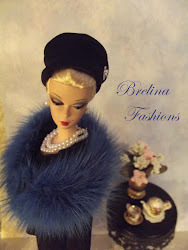 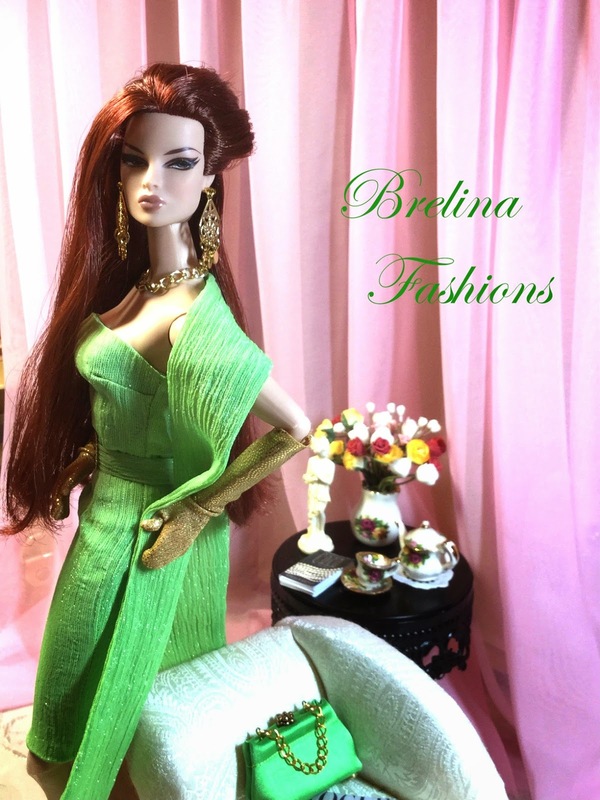 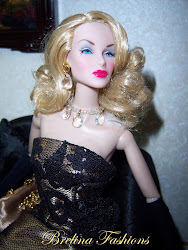 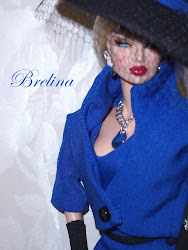 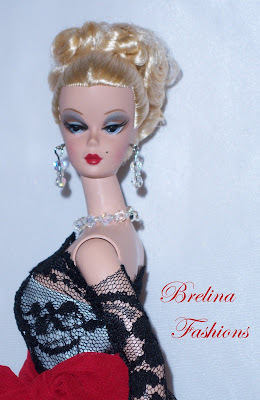 Everything you see on my dolls including: all dresses, suits, hats, handbags, gloves, jewelry, stockings and lingerie, as well as some of the miniature items used in many of my background displays is hand made exclusively by me. 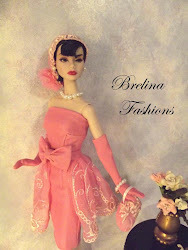 This has been a passion of mine since I was a little girl and I enjoy it even more as an adult. 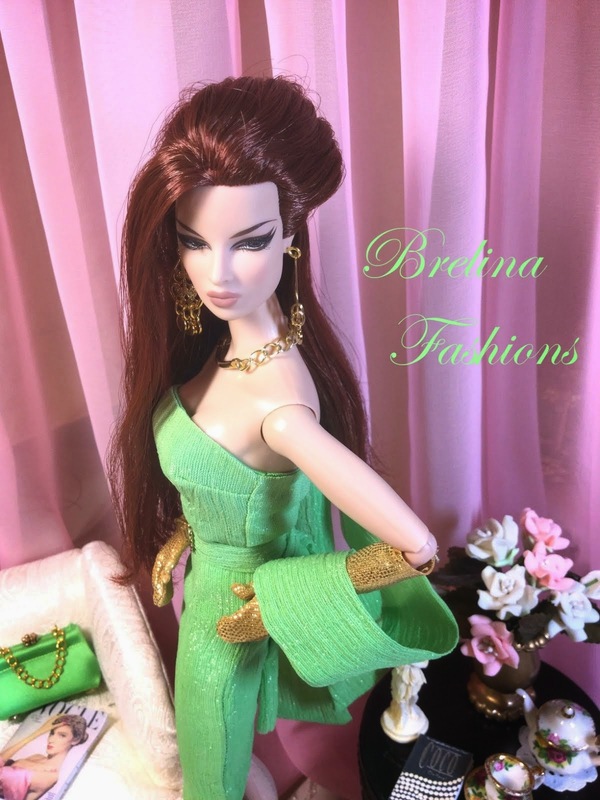 I am proud to say that I have sewn for people as far away as Australia, England, Spain, Japan, China, Canada as well as many other places all over the United States. 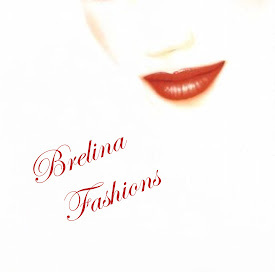 I hope you enjoy scrolling through all of my fashion designs as much as I enjoyed creating them.